Density Meter DMATM Generation M density meters measure the density and concentration of liquids and gases. 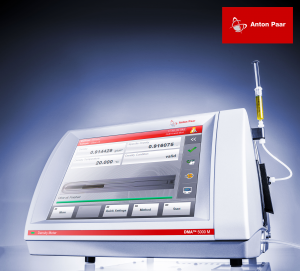 They provide preset measuring methods and integrated conversion tables for many applications. FillingCheckTM automatically detects filling errors and gas bubbles in the sample while U-ViewTM documents the incident. The 10.4” screen with state-of-the-art PCAP touchscreen provides a unique user experience.